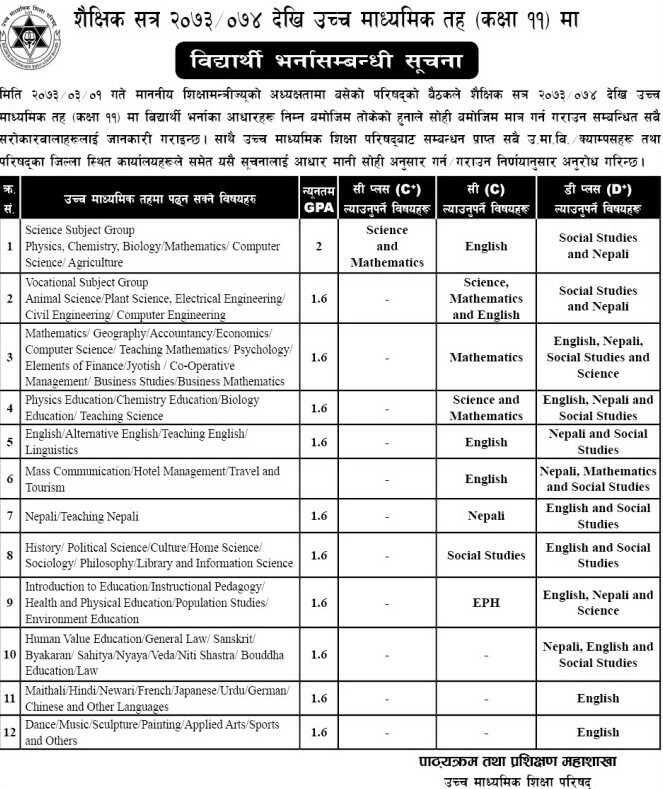 Higher Secondary Education Board (HSEB) today publishes the enrollment criteria for grade 11 for the academic year 2073/74. A meeting held in the chairmanship of Education Minister has prepared this guideline. HSEB Changed the enrollment criteria. Students who scored 1.6 GPA are eligible to enroll in the vocation programs (Grade 11 in Animal Science, Plant Science, Electrical Engineering, Civil Engineering or Computer Engineering) of HSEB. No need to meet individual subject criteria mentioned in the previous notice. Students who scored D+ in particular subjects (which required C according to previous notice) are now eligible to enroll in that program. e.g.Students who scored C+ in Science and Mathematics and D+ in English, Social Studies and Nepali are now eligible to study Grade 11 Science. The students who want to study Science groups must have achieved minimum 2 GPA. A student who has scored at least 1.6 GPA can get admission in any other stream. However there are some conditions that has to be fulfilled. 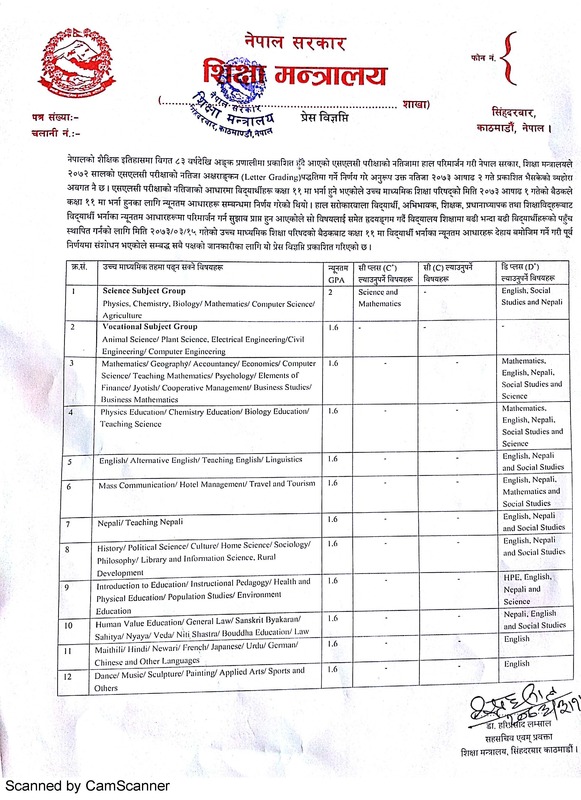 According to the criteria, students will to study 10+2 Science, must score at least 2GPA in SLC exam, C+ in Science and Math, C in English and D+ in Social and Nepali. HSEB requested all the affiliated colleges and campuses to follow this enrollment criteria. Read the information in the image below.